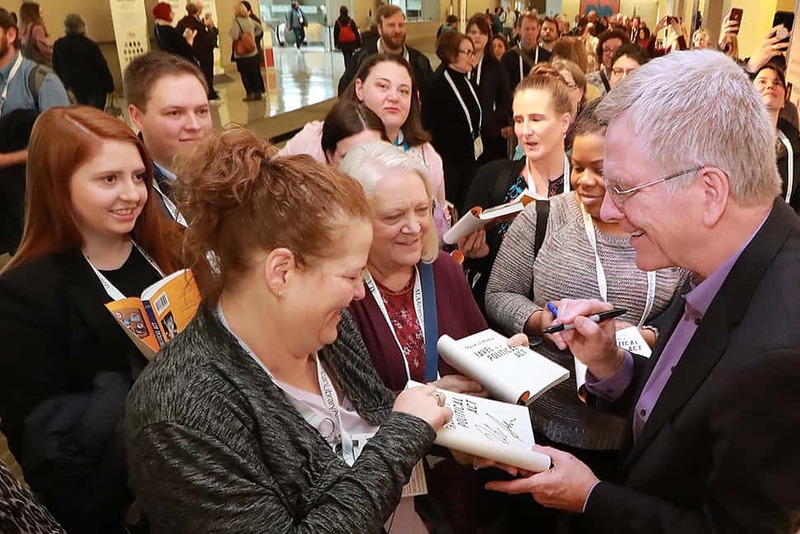 While Chicago’s American Library Association (ALA) headquarters shivered in historically frigid temperatures with the rest of the Midwest, Seattle stayed in the comparatively balmy 50s and upper 40s for the 2019 Midwinter Meeting & Exhibits January 25–29. 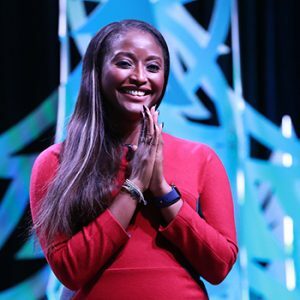 The Emerald City played host to more than 9,200 attendees (as compared with 8,036 in 2018 and 8,995 in 2017), who came to soak up the words of big-name speakers, learn from the practices of their peers, and network around subjects practical and theoretical. As with recent Midwinters, many sessions focused on the empowerment of women and underrepresented communities and the importance of advocacy and social justice. 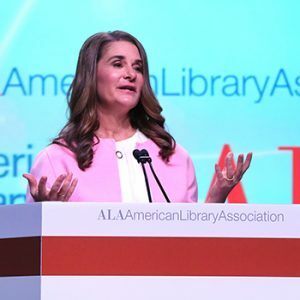 “Demand for gender equality is growing louder and coming from all over the world,” said Opening Session speaker Melinda Gates, cochair of the Bill & Melinda Gates Foundation, honorary chair of 2019’s National Library Week (April 7–13), and a vanguard of philanthropic funding for libraries. 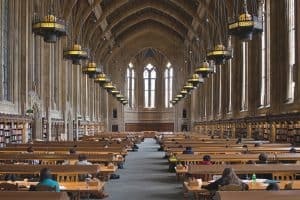 The Gates Library Foundation, which closed in 2018, provided more than $1 billion to libraries around the world over the course of 21 years. Sesay, who broke the news of the kidnappings and won a Peabody Award for her coverage, has written Beneath the Tamarind Tree (HarperCollins, July), the first definitive account of these events. “I’m hoping this book will restart an effort to find them,” she said of the 112 abducted girls who are still missing. Keynoting the event was scholar Jeanne Theoharis, author of A More Beautiful and Terrible History (Beacon Press, 2018). Theoharis said that civil rights icons such as King and Rosa Parks have been turned into “Thanksgiving Day balloons—jolly, larger than life, unthreatening, bobbing along, proud of our progress.” This type of distortion creates inaction by putting “racism and struggle safely in the past,” she said. The room filled quickly for “Racial Equity: Libraries Organizing to Transform Institutions,” a Symposium on the Future of Libraries program presented by Gordon Goodwin, Government Alliance on Race and Equity Midwest regional project manager; Amita Lonial, assistant library director at Tacoma (Wash.) Public Library; Sarah Lawton, neighborhood library supervisor at Madison (Wis.) Public Library; and Andrew Harbison, assistant director of collections and access at Seattle Public Library. “Racial equity means closing the gaps so that race does not predict one’s success while improving outcomes for all,” Goodwin said. He discussed the differences between individual, institutional, and structural racism, pointing out that implicit biases are more difficult to recognize, but just as detrimental, as explicit biases. An example of institutional implicit bias: “enforcement of fine collection disproportionately creating barriers to people of color, who are overrepresented among low-income populations,” he said. 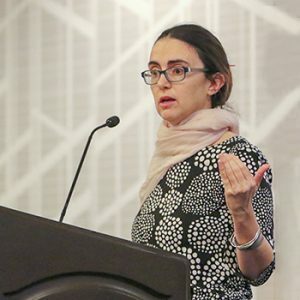 President’s Program keynote speaker Robin DiAngelo, a longtime diversity and antiracism educator and author of White Fragility: Why It’s So Hard for White People to Talk About Racism (Beacon Press, 2018), explored the concept of what she calls “weaponized hurt feelings”—the inability of white people to tolerate racial stress. “We make it so miserable for people of color to talk to us about our inevitable and often unaware racial patterns” that they often stop bothering, she said. Creating welcoming environments for all was also the focus of “Pushing on the Frontier: Disability Access and the Future of Libraries,” a session led by Kate Deibel, inclusion and accessibility librarian at Syracuse (N.Y.) University. Deibel opened her talk by stressing, “Always use the microphone. It’s one of the most important and easiest things you can do” to help people with auditory and attention issues. 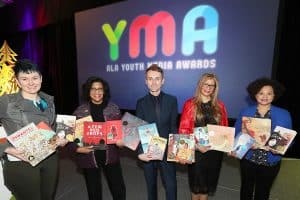 National Book Award–winning novelist Charles Johnson is turning his talents to a graphic novel series for kids, written with his daughter Elisheba Johnson and inspired by his grandson. In “Can Science Fiction Fix Everything?” Charles Johnson introduced The Adventures of Emery Jones, Boy Science Wonder, a series for middle-grade and YA readers. He was motivated to create the series because he wants to encourage black and brown kids’ interest in STEAM. Johnson said one reason for writing the books is that his grandson—the real Emery—faces a reading experience in which whites have a monopoly on goodness and beauty, and people of color are invisible or subservient. An annual survey by the Cooperative Children’s Book Center found that of the 3,700 children’s books published in 2017, only 340 featured prominent African-American characters. “The genre of children’s literature must change,” Johnson said. As of eight months ago, Seattle’s Beacon Hill neighborhood has boasted its own social justice library: Estelita’s Library, founded by University of Washington law school professor and activist Edwin Lindo. Its mission is to be a community space where people feel at home and are able to have conversations on tough topics such as race, poverty, and gentrification. Lindo spoke to Midwinter attendees about the library’s format and challenges, including the fact that its books are not categorized. “Our argument is that all these books are cataloged under the title of social justice,” he said, emphasizing that the act of searching can lead people to discover connections and pick up books they might not otherwise. The library is a nonprofit funded by donations, grants, and a membership system with sliding-scale, pay-what-you-can fees. Students receive free memberships, and those who can’t afford fees are never turned away. No late fees are charged. How do we create change, solve problems, and support innovation in our communities? “[It’s remembering that] the people most affected by the problem have the best ideas on how to solve the problem,” said Sarah Studer, assistant director of the Arthur W. Buerk Center for Entrepreneurship at the University of Washington’s Foster School of Business. Studer shared her philosophy on collective action and using business as a force for good at “Libraries Transform: Social Innovation,” a Symposium on the Future of Libraries session. She and copresenter Arnold Phommavong, art director at Hilt Agency (a brand development and design agency in Seattle) and vice president of Design for Good (a program of the American Institute of Graphic Arts), offered strategies for keeping creativity and empathy at the center of social innovation. One problem that Studer discussed—homelessness—deeply affects the city of Seattle. She recalled how, at her former workplace, a coworker brought a coffee cart out on the street to serve homeless individuals and engage them in informal conversations to learn more about their needs. Through that and other interactions, she and her coworker were able to learn, for example, that one of the biggest issues facing people experiencing homelessness is the need for a power source to charge electronics. The third floor of Seattle’s Central Library, with its soaring glass-and-metal-curtain wall, provided a dramatic backdrop for ALA President Loida Garcia-Febo’s “Rally for Libraries” on January 26. An estimated crowd of 150 library supporters, many holding signs promoting public and school libraries, gathered around the podium as Garcia-Febo fired up the crowd with a stirring call to action on behalf of libraries of all types. The day before, ALA rolled out a new and growing collection of advocacy tools on ALA’s redesigned Advocacy web page. Resources are organized around developing and cultivating library advocates; providing step-by-step suggestions for anyone who wants to become more active in strengthening ALA’s voice; and advancing the national, state, and local conversations about library and information policy. 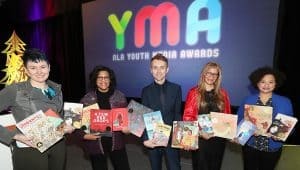 As always, one of Midwinter’s highlights was the Youth Media Awards (YMA) announcements of the top books, videos, and audiobooks for children and young adults, including the Caldecott, Coretta Scott King, Newbery, and Printz awards. 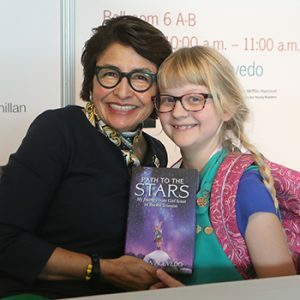 Winning the John Newbery Medal for the most outstanding contribution to children’s literature was Merci Suárez Changes Gears, by Meg Medina. The Randolph Caldecott Medal for the most distinguished American picture book for children went to Hello Lighthouse, by Sophie Blackall. The Coretta Scott King Book Awards, which recognize African-American authors and illustrators of outstanding books for children and young adults, were awarded to A Few Red Drops: The Chicago Race Riot of 1919, by Claire Hartfield, and The Stuff of Stars, illustrated by Ekua Holmes. The Poet X, by Elizabeth Acevedo, won the Michael L. Printz Award for excellence in literature written for young adults. Also announced at Midwinter were the winners of the 2019 Andrew Carnegie Medals for Excellence in Fiction and Nonfiction. The 2019 Andrew Carnegie Medal for Excellence in Fiction went to The Great Believers by Rebecca Makkai. The 2019 Andrew Carnegie Medal for Excellence in Nonfiction went to Heavy: An American Memoir by Kiese Laymon. A resolution proposing changes to the language in ALA Policy B.8.10 to make it more inclusive and use person-first terminology (CD#14) passed. A resolution on sustainability as a core value of librarianship (CD#37) passed. Motions to insert a new interpretation of Library-Initiated Programs as a Resource into B.2.1.11 of the Library Bill of Rights, a new interpretation on Services to People with Disabilities into B.2.1.21 of the Library Bill of Rights, and the insertion of revised text on Council Resolutions: Guidelines for Preparation of Resolutions for Council into the ALA Policy Manual as A.4.2.3 (CD#17) all passed. A motion to revise the charge for the Committee on Legislation passed. A motion to revise the Office for Diversity, Literacy, and Outreach Services (ODLOS) Advisory Committee composition to remove the Sustainability Round Table and add the Committee on Education passed. A revision to the charge of the Committee on Literacy passed, as did a revision to the Literacy Assembly charge. A proposal to change the Lemony Snicket Prize for Noble Librarians Faced with Adversity to the Penguin Random House Library Award for Innovation through Adversity (CD#31) because of new sponsorship passed. A resolution to eliminate monetary fines as a form of social inequity (CD#38) passed. The third ALA Council meeting began with a discussion of a Code of Conduct complaint against a councilor. The complaint is being investigated by Conference Services through its process for investigating violations. A resolution in support of civil rights protections for people of diverse gender identities (CD#41) passed. A motion to adopt “Copyright: An Interpretation of the Code of Ethics” (CD#24.1) passed. A motion to adopt Article VII ensuring privacy and confidentiality for library users to the Library Bill of Rights (CD#19.1) passed. Several motions to adopt revisions to the Library Bill of Rights regarding meeting rooms (CD#19.2), prisoners’ right to read (CD#19.3), and challenged resources (CD#19.4) also passed. Resolutions to observe Public Domain Day on January 1 (CD#20.1), on improved public access to Congressional Research Service reports (CD#20.2), commending the reauthorization of the Museum and Library Services Act (CD#20.3), and celebrating the US ratification and passage of the Marrakesh Treaty Implementation Act (CD#20.4) all passed. ALA Treasurer Susan H. Hildreth presented the Association’s programmatic priorities (CD#13.1). A motion to approve programmatic priorities, which are the basis for developing the FY20 budget, passed. Clara Bohrer, ALA Conference Committee chair, presented an update on the remodel of ALA’s Annual Conference and the evolution of the Midwinter Meeting (CD#39). 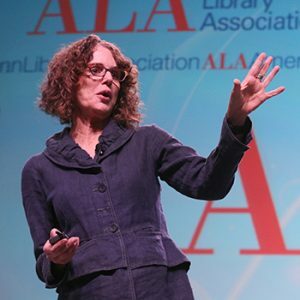 ALA Past President Courtney L. Young gave the report of the ALA Executive Director Search Committee (CD#34), which will begin its work this month. Memorials were read for Amber Clark, Wanda V. Dole, Leroy Hommerding, James Ray Jarrell, Merlyn Miller, and Carlton C. Rochell. A tribute resolution was read for ALA Round Tables Program Manager Danielle M. Ponton (Alderson), and a standing ovation was given in honor of JoAnne Kempf, director of the Office of ALA Governance, who is retiring in May. Correction, Feb. 5: Council approved the programmatic priorities for FY2020, not the FY2020 budget. Read our full team coverage of the 2019 Midwinter Meeting & Exhibits at The Scoop. ANNE FORD is American Libraries editor-at-large. Amy Carlton, Terra Dankowski, George M. Eberhart, Lindsay Gypin, Kathi Kromer, Phil Morehart, Sanhita SinhaRoy, Carrie Smith, and Steve Zalusky contributed reporting and editing for this story.